If chicken-keeping ends up not to be the right venture for your farm, make sure your birds find another safe and happy home. Many of us who embark on the journey of keeping chickens become so infatuated and enthralled with our charges that we couldn’t imagine life without them. However, some of us find that chickens just aren’t the right fit. Perhaps you’ve found that a flock of chickens draws unwanted visitors or predators to your property, or maybe the workload of caring for them isn’t what you signed up for. Perhaps an unexpected life event has left you in a bind, forcing you re-home your flock now. Whatever the circumstance, don’t panic and rush headlong into a situation you might regret—you have options. Depending on your location and how much time you have to find them a new farm, your birds have the chance to end up in a happy new home. 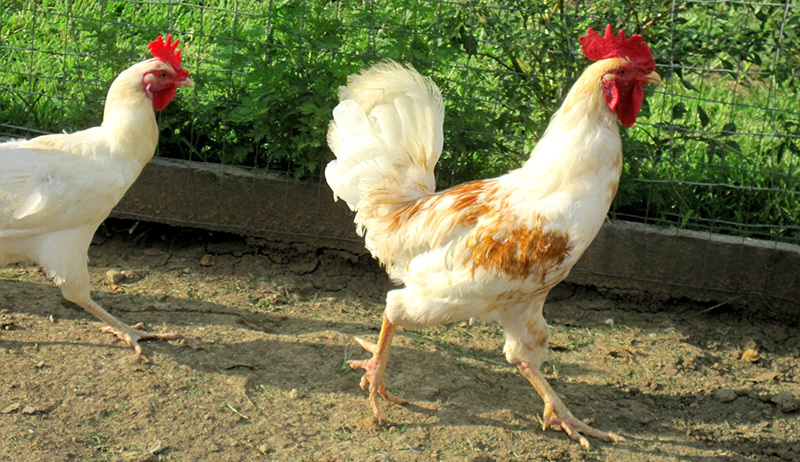 A great way to start the re-homing process is to connect with other small-scale farmers in your area, especially those who might just be starting their operation and are looking for chickens to add to their land. Be sure to mention the important details in your ad, including the age of the chickens, their breeds, their vaccination records, what they’ve been fed, your location, and any re-homing fee if necessary. If you’re considering selling your coop with the chickens, say so here, and post a few photos, as well. Truly interested potential owners will inevitably want to see the birds before agreeing to adopt them. If you chose to post your flock on Craigslist, you can choose to receive responses by email, phone or text. 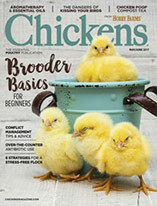 As more and more cities allow chicken-keeping within city limits, the potential to reach out to backyard chicken keepers opens, especially if your flock consists of relatively docile breeds. If re-homing your birds is a personal choice—one in which there are no time constraints—the most responsible option is to reach out to a community near you, research and screen potential new owners, and find a suitable new home that is a good match for the flock. Again, social media and online forums will help you find a suitable home and the right fit for your flock. 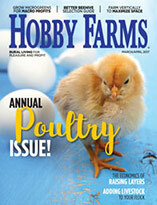 Search chicken clubs and homesteading groups in your area on social media networks, such as Facebook or Meetup. Once you find some, ask permission to join the group and then post your ads. In all honesty, I hesitate to consider the animal shelter a viable option for re-homing chickens. In many cases, county animal shelters are often overwhelmed with adoptable cats and dogs that are being routine euthanized simply for lack of space—they’ll likely not have the means or space to house an entire flock of chickens and might not even be equipped to care for poultry. A better alternative to a shelter might be a farm-based animal rescue. In western North Carolina, where I live, several rescues accept nearly any animal by owner surrender, no questions asked, from unwanted roosters to pot bellied pigs. If you have tried everything else and absolutely must take your chickens to an animal shelter, call a few county shelters near you. Find out which has the most space, and if they have any staff members or volunteers knowledgeable about chickens. When you’ve made your decision, surrender your flock with as much feed and supplements (oyster shells and grit) as possible, and leave labels on baggies so that the shelter staff knows what to purchase. Remember, just because you’ve surrendered your flock to a shelter or rescue, your responsibilities don’t end there: Hop onto social media and spread the word. Post ads with photos to newspaper and online classifieds, letting local people know where they can find chickens in need of a good home. It’s your responsibility to give the chickens the absolute best chance possible of a second home. Re-homing any animal that you have taken into your charge isn’t easy. Surely it’s a difficult decision to make and is not without its stressors once you choose to do it. Whichever of the options above that you choose or if you come up with your own, provide as much information to the new owners as possible: include the birds’ ages, their breeds, their origin (hatchery, farm, breeder, et cetera), vaccination records, and medical history, including any sustained injuries. Finally, no matter how pressed for time you may be to re-home your flock, never release a flock of chickens into the wild. Turning a domesticated flock of chickens lose is not only irresponsible, it is cruel and inhumane. The most likely scenario is that the flock would be picked off by local predators. Should they learn to survive, they might continue to breed, causing an unregulated population of feral chickens and a major headache for your municipality. 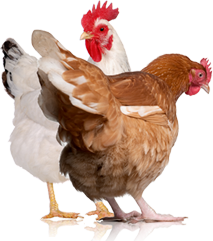 The best course of action is to begin your research and campaign to re-home your chickens as soon as you know you need to; this will give you the most time to find a suitable home and your flock the best chance for the second chance they deserve.